Sometimes you have to take a moment and reflect on where you are, and where you see yourself going. I like to think that when I graduated from college I had a pretty standard set of goals. Get a job, figure out my student loans, and go out on the weekends with friends. It was simple looking back on it, and definitely more complex than when I was in grade school. Things get progressively more complex, your actions take you in new places, they open up new opportunities, and you meet new people along the way. You might move, you might find a spouse, you might buy a car… all these things continue to add up into whatever you end up making for your life. Somehow, I have managed to get myself in a bind. A good bind mind you, yet it keeps me up at night with how much I need to get done. 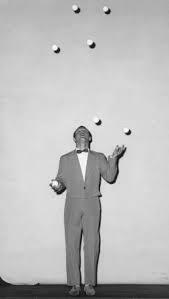 It’s the juggling act of life, and sometimes I think it is good to reflect back on what exactly I am juggling here today. 1. One of my big goals is to ensure success of the company I work for. I continue to be amazed and proud at how far we have come, and what I think we can accomplish in these coming years. It is something I am extremely appreciative of and work long hours to see us be successful. From current customers, future customers, current and future tech, new horizons and growing as a company – there is a lot to watch out for, and staying on top of everything is a job in of itself. 2. In combination with point one, the open source project I have been working on called Scrapy Cluster is nearing it’s 1.2 release. It is a huge milestone, and right now it is our most popular open source project to date. I can’t believe work on that project was started over three years ago, there is a huge amount I have learned and we continue to gain traction in the Open Source community. 3. My work has landed me in some interesting places, doing interesting things with very interesting people. There are really big opportunities at stake and I need to pour so much of my extra tech time into this goal. My fingers are crossed it will lead to awesome places, but only time will tell. 4. Did I mention my Artwork at all? Oh yes, I have a drawing sitting on my desk thats been in progress since October. I would say it needs 10-15 more hours of work on it to call it done, given that I have poured probably 40 or 50 into it already. It stares at me every day as I walk by, just as I continue to reach out to new potential clients, new people, and try to spread artwork across the world just a tiny bit more. 5. As always when meeting new friends comes new relationships and new romance. I am extremely lucky and thankful to have found someone who matches my style, and to top everything off we will finally get to seal the deal. I have never planned such a party, but luckily my other half takes the stress away. 6. Yeah, even juggling all of the above I still have time to socialize. Still have time to play video games, visit friends, discover new music – perhaps not as much as my college days but it still gets me by. You can also lump in music festivals, concerts, trips, weddings, seeing family, holidays, snow days, and special events in there as well. 7. Lastly, Artificial Intelligence is here to stay, why not embrace it. As a classical CS person I certainly didn’t learn much about AI in my undergrad studies, but damn if it is not coming on strong. My thesis back in 2012 was all about the political hurdles and technical challenges posed to self-driving cars. Here we are 5 years later and its the talk of the town. Take a google here or here, its not going anywhere, and I believe the people who will have a job in the next 10-15 years will be the ones who can wrangle the AI, or Machine Learning beast. That’s a personal goal right there. Each of these things can be a job in of its own. I have managed to pick one as my full time job, thats the one that pays my bills. I work on the open source projects when I can, because its fun, but my newest work project is taking precedence outside normal hours now. My relationships, my friends, and my Artwork comes next, but all are equally as important in their own right. I’m not a full time artist, I’m not a full time bar crawler either, but those are jobs in of themselves that take time and maintenance, otherwise you lose them. Lastly, while the clock is ticking, I think I have a bit more time to figure out the whole AI thing… but I can’t wait too long, otherwise a computer is going to end up writing on this blog for me. While this may seem like some vent or frustration, I am actually amazed that I have so many tasks requiring my attention. My goal here is to get my thoughts together and focus, as I am too spread thin at the moment. Let’s get something done and put it to rest, then focus on the next task. In thinking about it, I am lucky to be busy in a time where so many don’t even have a job. Lucky to have friends and family who care, lucky to meet exciting and interesting people, and just plain lucky to be here experiencing this rapidly changing world we call home.